It is natural collection of 5 mukhi rudraksha with three naga dev in it. It is very powerful rudraksha by wearing this triple nag rudraksha negative effect of kala sarpa dosha will be completely stopped. 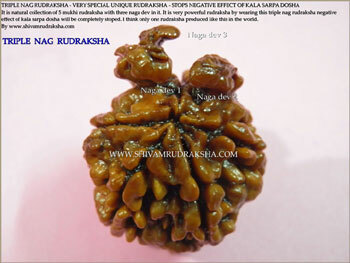 I think only one rudraksha produced like this in the world.